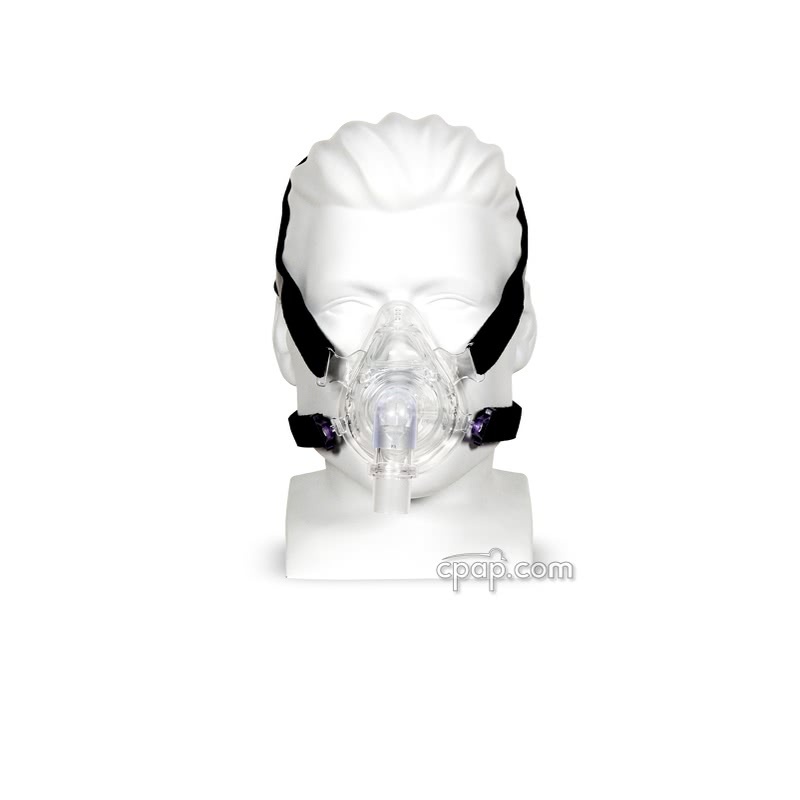 " I have been using a cpap machine for 7 years and this is the best mask I have ever used very comfortable and my first one lasted almost 2 years. " " Fits perfect no leaks at all does not leave marks on my face it's the only mask I have ever used that has EVER fit right. Thank You! Thank You! " 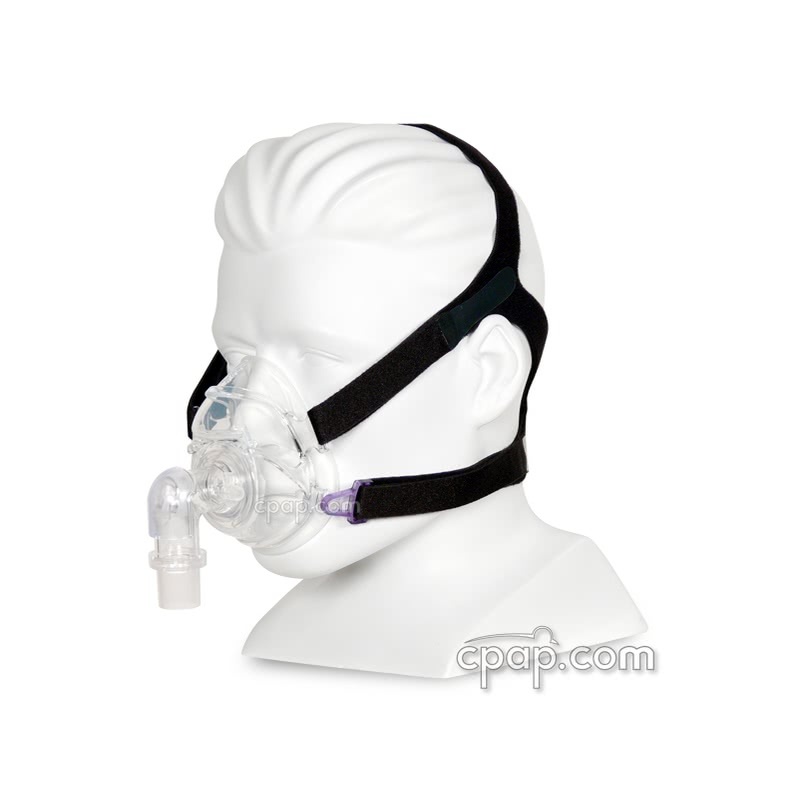 The original Zzz-Mask Full Face CPAP Mask with Headgear from PMI Probasics with detachable cushion is available. The design is flexible, lightweight, and very easy to clean. The soft medical grade silicone mask allows for a comfortable fit and excellent seal without the need of a forehead support. Best of all they did not sacrifice comfort for durability. 6% of Full Face Mask product buyers choose this product. 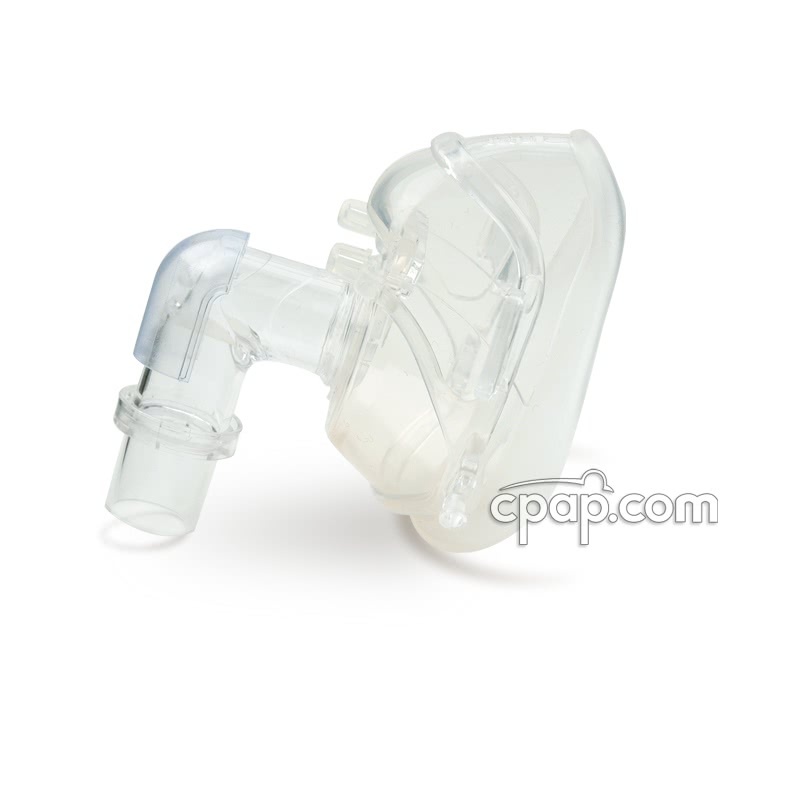 The Zzz-Mask Full Face CPAP Mask with Headgear offers theses valuable features which make this mask an excellent choice. Detachable Cushion Refresh the mask by replacing the cushion and frame. The cushion detaches from the mask frame by coming off the two frame pegs or prongs. 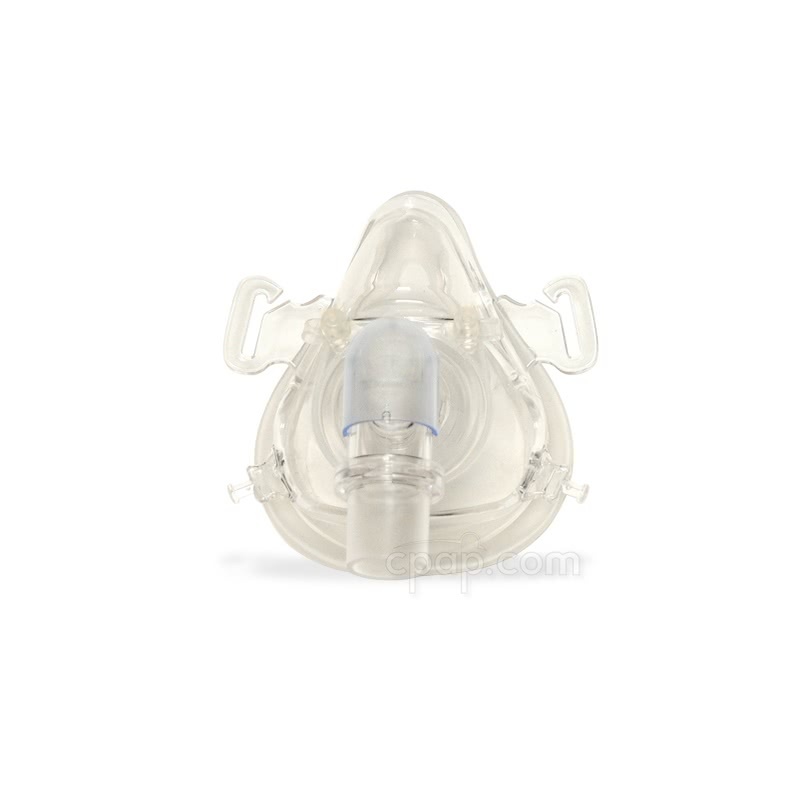 Lightweight Flexible Design Made from a soft medical grade silicone, the Zzz-Mask Full Face Mask has a design that is comfortable, durable, and flexible. No Forehead SupportEnjoy a clear line of sight without a forehead support in the way. The design of the mask and headgear offers a stable seal without the bulk of a forehead support. Headgear with Quick Release Clips The headgear can be easily removed without having to re-adjust the straps making it quick and convenient to take on and off. Easy To Clean Due to its overall design this mask is amazingly easy to clean. 360° Double Swivel Elbow Port Freedom of movement and ease of connection is built into the design of the Zzz-Mask Elbow Port. 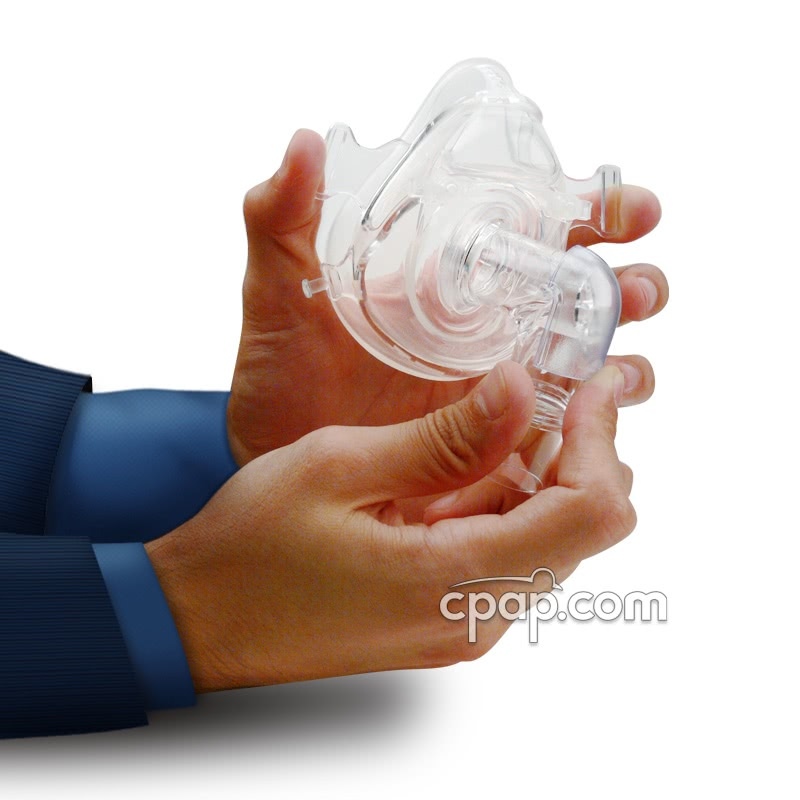 Where the mask and the elbow port connect is highly flexible as well, helping to keep the mask in place if you are an active sleeper. 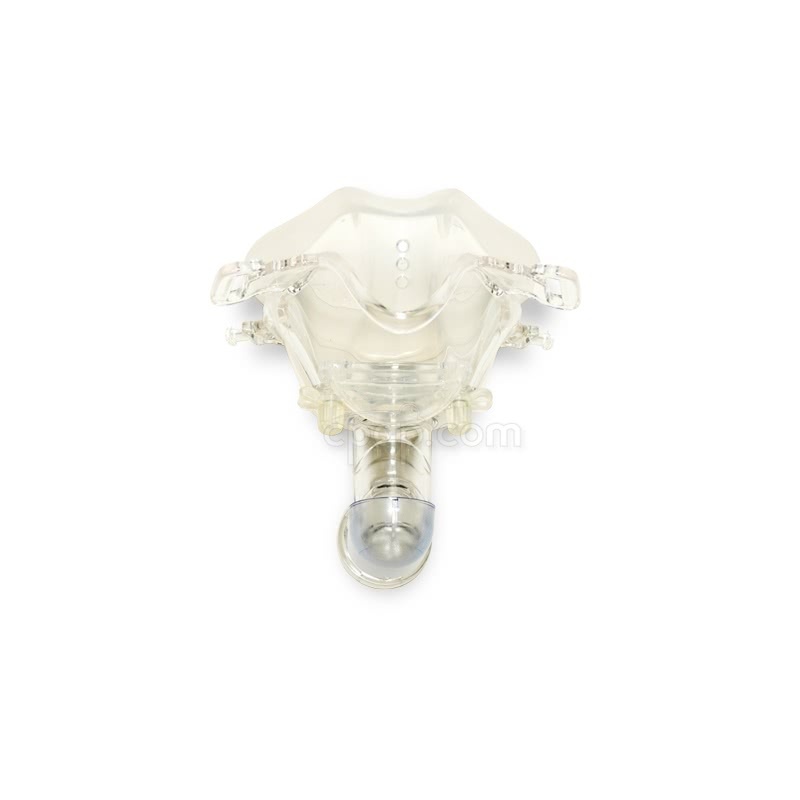 One Way Valve Design The air vent holes and one way valve design of the exhalation port help to minimize CO2 retention. 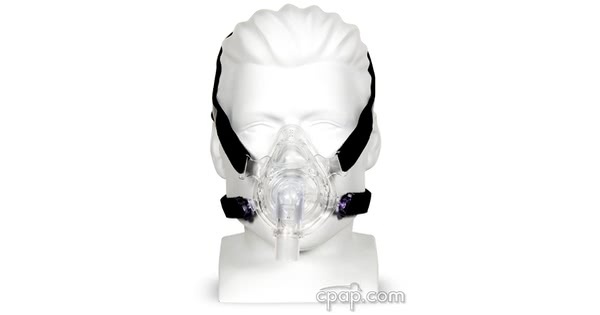 The Zzz-Mask Full Face Mask with Headgear comes in three sizes; Small, Medium, and Large. 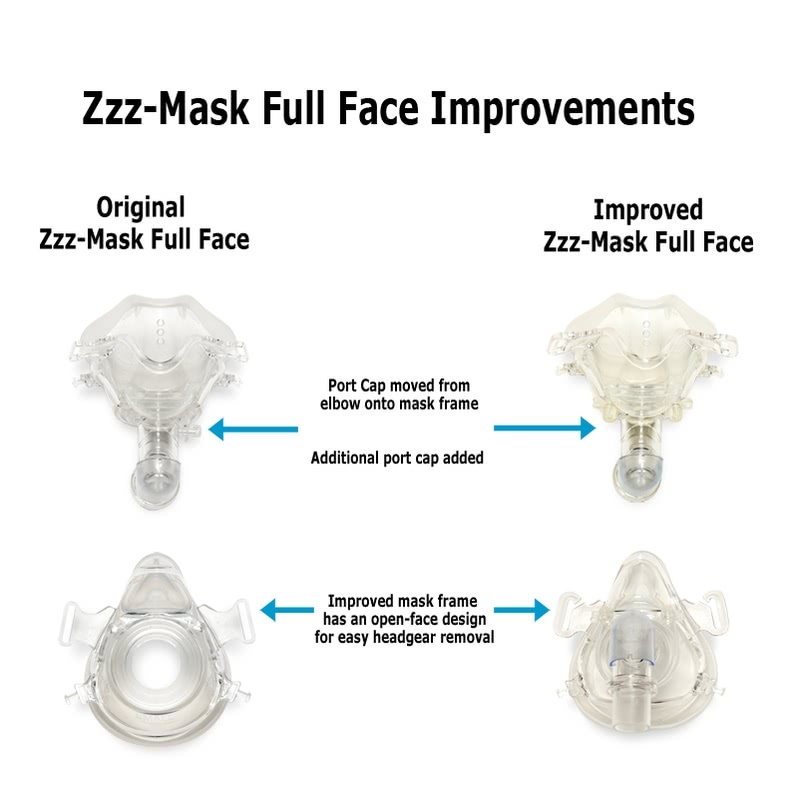 As of mid-2013, ProBasics changed the design of the frame for the Zzz-Mask Full Face CPAP Mask with Headgear to once again allow users to remove the silicone cushion for replacment. This is the design of the original Zzz-Mask Full Face that used two prongs that pushed through the detachable silicone cushion. 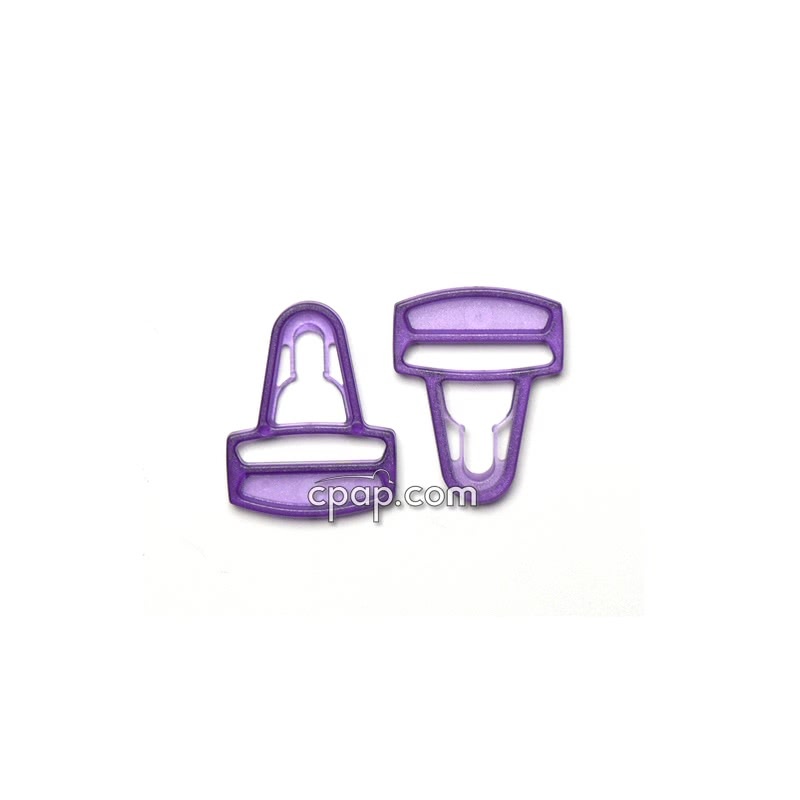 This mask comes with a set of purple Headgear Clips for Zzz Nasal and Full Face Masks. For a period of approximately two years the Zzz-Mask Full Face used a frame that DID NOThave a detachable cushion. It was packaged with a set of clear headgear clips. Although there is not a size indicator on the body of the frame, the mask frame is sized and must correspond with a specific cushion size. To determine the size of the frame, find the size of the full face cushion. To find the size of the full face cushion, turn the mask so the elbow is facing the user. On the silicone material below the elbow, locate the embossed letters that detail the size of the full face cushion. If the mask is being held within the frame, the word "S M A L L," "M E D I U M," and "L A R G E" will be found just below the elbow and before the rim of the frame. We tested the Zzz-Mask Full Face Mask in-house. People were very impressed. Many people said they would switch over to this mask for every-night use due to its comfort and durability. In particular they liked the extremely flexible connection where the mask and the elbow swivel meet which allows for movement during sleep without knocking the mask out of place.